They caught you...and you're in trouble now. The City of Khazan does not believe in coddling criminals, and now you must run the Royal Khazan Gauntlet of Criminal Retribution and Rehabilitation. You are taken into the catacombs, beneath the Khazan Courthouse, and stripped of all clothing, jewelry, weapons, amulets, and other devices. If you can make your way through the series of tunnels and caves that lie ahead, you will escape with your life - and if you're lucky, treasure! 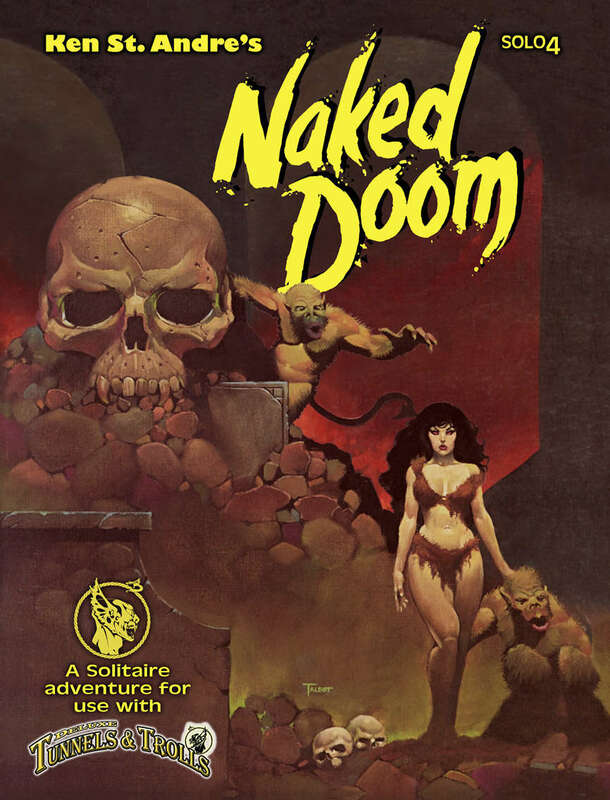 Naked Doom is #4 in a series of Solitaire Adventures designed for play with the Tunnels & Trolls system of dungeon delving. To enter the adventure in this booklet, you need only the T&T rules, a few six-sided dice, paper, and a pencil.